It is hereby informed that UPSC CDS I Admit Card is been released now, candidates are required to download it as soon as possible providing their valid credentials. Candidates need to register their presence at Examination Venue on time with their Admit Card & required documents (Photograph, etc.). Short Information : Union Public Service Commission UPSC Are Invited to Online Application Form for the Recruitment Post of Combined Defence Service First I Examination 2019 Those Candidates Are Interested to the Following Form and Completed the All Eligibility Criteria in CDS I Can Read the Full Notification and Apply Online. Conclusion : To get more information about to the UPSC Recruitment 2018 (UPSC Bharti 2018), all candidates are requested to check official advt. notice or visit official website i.e. https://www.indianarmy.nic.in/ before filling up Online Application Form. UPSC will soon be issuing the official Notification of UPSC Bharti 2018. 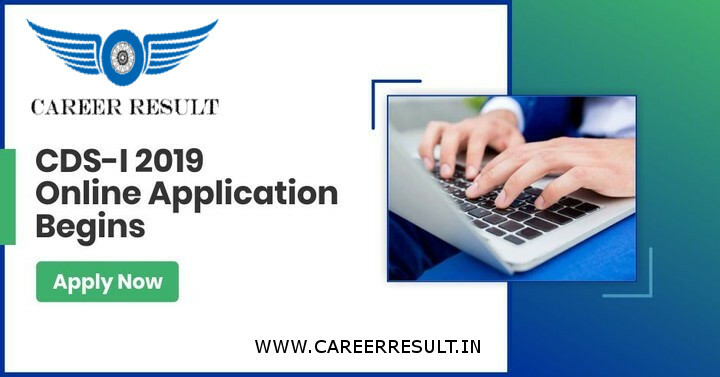 Keep in touch with us (www.careerresult.in) and keep update yourself regarding to Upcoming Jobs 2018-19. All candidates have to request is to share this job link with your friends over at Whats App, Facebook or other social networks, and help them get good career in your life.